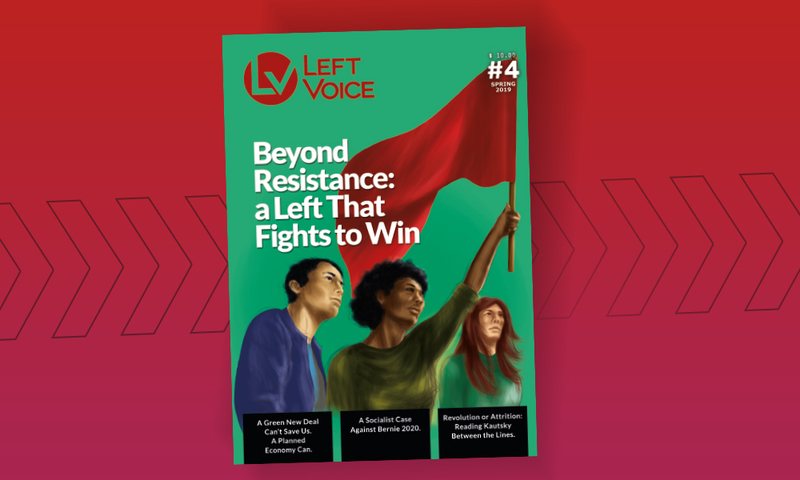 Green Left Weekly’s Federico Fuentes interviewed Del Cano about the situation in Argentina today and the upcoming October presidential elections. In a context where the far left has traditionally performed poorly in presidential elections, the FIT were relatively successful in their first electoral venture – the 2011 PASO for that year’s national election – with presidential pre-candidate and historic figure on the left, Jorge Altamira, winning over half a million votes (2.46%). 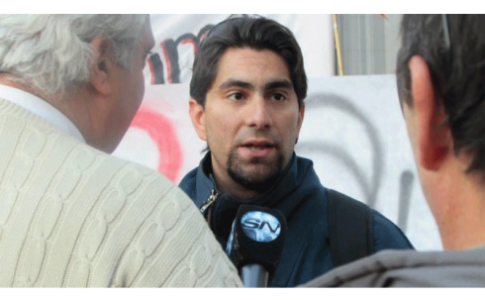 This time around, Altamira was defeated by 35-year-old Nicolas Del Cano (pictured), a young PTS organiser who rose to national prominence in 2013 when he was elected as a national deputy for the traditionally conservative province of Mendoza, with 14% of the vote. I would like to begin by trying to better understand the current political situation in Argentina. A little over a decade ago, much of the left was looking to Argentina due to events such as the 2001 Argentinazo uprising (that led to the overthrow of several presidents in the space of a week), the tremendous collapse in support for traditional political parties and the emergence of a variety of forms of resistance from below such as the unemployed piquetero movement, occupied factories, neighbourhood assemblies, etc. Yet in the recent presidential primaries, Peronism and the recycled right won almost 90% of the votes, while the governing Kirchnerist movement – identified by many as part of the wave of progressive governments in the region – had to seek out a Peronist candidate to its right in a bid to remain in power. Can we say that the political period defined by the 2001 slogan “All of them must go!”, this period of resistance from below, has ended and given way to a certain re-consolidation of the old order? The crisis that opened up in 2001 was very deep and in many ways explains why Kirchnerismo arose. 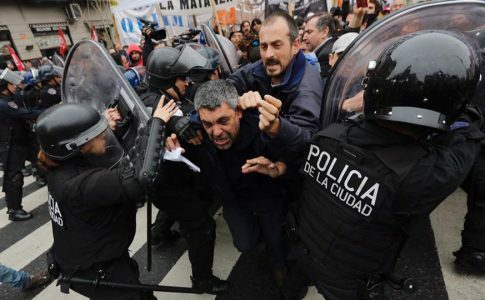 In fact, Nestor Kirchner’s win in 2003, with a mere 22% of support, was a demonstration of how deep the political crisis was, one that combined with an economic catastrophe and the state’s loss of authority. In a debate a few days ago, my comrade Christian Castillo (a leader of the PTS and former legislator in the Buenos Aires provincial parliament) explained how the weaknesses of those below – in 2001, the workers’ movement was on the defensive, facing high levels of unemployment and the impacts of the blows and splits suffered throughout the neoliberal decade – and the capitalist recovery that began in June 2002 combined to defuse the situation and facilitate the emergence of Kirchnerism, resting on three key pillars: a large part of the Peronist apparatus that had begun to change its discourse, a faction of the trade union bureaucracy and a co-opted section of progresismo (liberal/centre-left). This allowed the government to continue its attempt to bastardise the banners of the left at the same time as it unflinchingly repressed the vanguard of the workers movement. This does not mean that crises or retreats have not occurred. In many ways, Kirchnerism has reached the end of its lifecycle in a weakened state, facing a political opposition in crisis, but suffering from a succession crisis of its own. 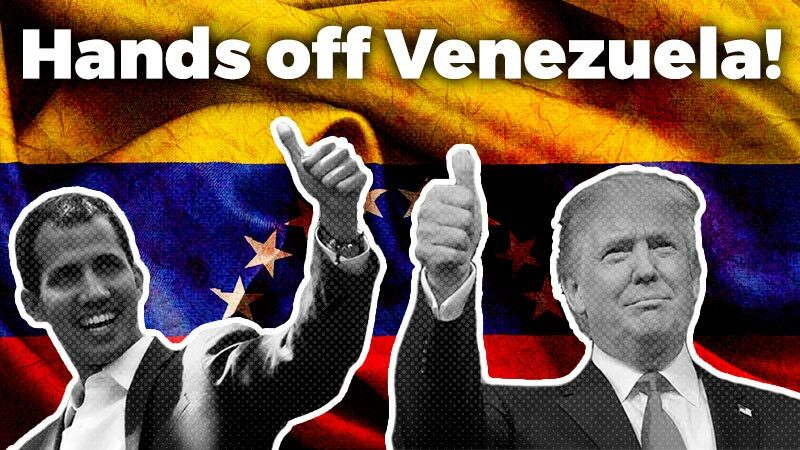 It is facing the same crisis as many of the post-neoliberal governments in the region. 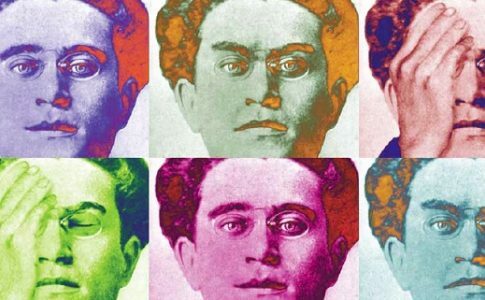 It is also not possible to understand the formation of the Left Front or why it has risen above other political currents, without the persistent struggle of the workers movement through the decade of Kirchnerism. From the first rank and file union struggles, such as the strikes in the multinational-owned Kraft Foods, to the exemplary fight of the workers at the Lear auto parts factory, bonds have been strengthened between militant workers and the revolutionary left. Part of this relationship was reflected in the large presence of workers in our “Renovate and Strengthen” list, which stood over 1800 worker candidates. In terms of the next government, the fact that the workers movement has suffered no important defeats and has accumulated important experiences during these twelve years means any government that attempts to implement cuts will have a big problem on its hands. In this situation, why did you, as the youngest of all the presidential hopefuls, decide to run as a pre-candidate in the FIT primaries. What do you put your victory down to? Initially, the PTS proposed the idea of running a united list to the comrades in the Workers Party (PO). It is evident that two main political tendencies exist within the FIT, one involving the PTS and the other the PO. But we thought it was important to contest the October national elections as united as possible. 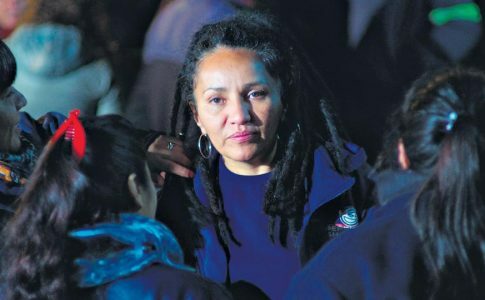 In Mendoza, my comrade Noelia Barbeito (who is running for the national senate) stood for provincial governor and won 110,000 votes, more than 10% of the votes cast in the elections. It was a really impressive campaign for the left. Something similar occurred in the Mendoza city elections, when I stood for mayor and we came in second, and even outpolled Kirchnerism’s candidate. We wanted to see if it was possible, on the national level, to reflect this combination of a very good election result in Mendoza among sections of precarious workers and youth with the effective practice of revolutionary parliamentarianism that has demonstrated to many that a different kind of politics to that of the traditional capitalist parties is possible. Throughout all of past year, we have used our seats in national, provincial and local governments to support all workers struggle; at the same time we have committed ourselves to only taking a salary equivalent to that of a teacher while donating the rest to workers in struggle. That is why we thought it was important to reflect this experience in the national elections by running me as a presidential pre-candidate. As the comrades of the PO did not agree to the idea of a united list, we made use of the primaries to work out our presidential candidate. I think my candidacy provided an outlet for hundreds of thousands of women, youth and workers across the country who see the limitations of the Kirchnerist decade. We put in a lot of effort to spreading our ideas and the big vote we got showed we have become a vehicle for the expression of left discontent. Our victory, to put it one way, also expressed the deep social disenchantment that exists with Kirchnerism. Our victory in the primaries enabled us to achieve a greater level of recognition, but our project has a collective objective. We have not set out to build up individual personalities on the left, we want a party rooted in the working class and among youth that can influence national politics and prepare the road for the struggle towards our goal: a government of workers and the people. In some ways, the FIT was formed in 2011 to help the left overcome the hurdle imposed by the PASO. Not only did you surpass it then, this time around you won more than double the votes need and were only a few votes from being the fourth most voted list. What do you put this growth in support down to? As I was saying before, we have on the one hand an important level of disenchantment with Kirchnerism, which has used a progressive discourse to make many promises it never kept, while demonstrating everyday that it is a government which guarantees the interests of the bosses and large landowners, beyond any frictions that may exist with certain sectors. 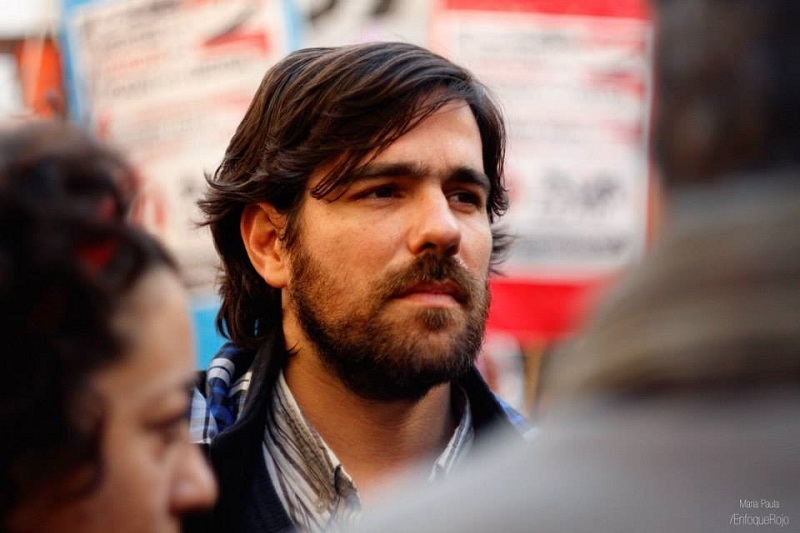 On the other hand, the anti-capitalist left in Argentina, particularly the Trotskyist organisations, have become a reference point for many sectors fighting against the bosses and the trade union bureaucracy, as well as for young people, many of whom are not covered by unions, earn less than the minimum wage and tend to be the targets of police persecution. This also explains why our list won support among young workers, students and women, who not only led a big mobilisation against gender violence [in June this year] but have campaigned throughout the last decade to overturn the Kirchner government’s opposition to legalising abortion (a demand supported by the majority of the population). These are the main sectors that support the left, in the recent elections, on the streets and in workplace struggles. In 2013, the FIT won 1.2 million votes, a historic vote. When we took up our seats in National Congress, we never stopped supporting workers in struggle; on the contrary, we intensified our support. In fact, one of the ads that had the biggest impact during our campaign was one that showed me together with the Lear workers, who I supported through 2014 and continue to do so, blocking the Panamerican highway, or one with me in Congress debating the government’s ex-chief of cabinet Jorge Capitanich, denouncing him for acting like manager defending the interests of companies. PTS parliamentarians within the FIT fight for a working peoples’ agenda in Congress. We act in accordance with our program: in our campaign we proposed that deputies and functionaries should earn a teachers’ wage, something which we put forward as a bill to National Congress and in various provincial governments, but which was rejected. Despite this, our parliamentarians only accept a teachers’ wage and the rest of our salary we donate to struggles, to strike funds, to support workers, all of which is documented and on the public record. The rise in number of votes has been accompanied by the election of a number of FIT candidates to parliament at the local, provincial and national level. What does the FIT hope to achieve with these seats in parliament? Our aim is to make the voices of workers, women and youth heard in Congress, to amplify the demands of those fighting in their workplace against labour casualization, for wage rises, against inflation. Contrary to the idea of a left that “adapts”, that makes its discourse more amenable, we want to build a hard left, that fights alongside workers in struggle, that denounces the political caste, the functionaries that live like millionaires at the expense of the people. At the same time, we are getting ready to take on the next government that, no matter who wins, will implement austerity. That is why we say we are running against the “candidates of austerity”, all of them have committed themselves to promoting measures to benefit the interests of business, and we want to strengthen a left that firmly stands together with the workers, that denounces the handing over of our natural resources, as my comrade Raul Godoy (a workers’ leader in the Zanon factory who was recently re-elected as a deputy to the Neuquen provincial parliament) did when the government and opposition agreed to hand over the Vaca Muerta oil deposits to the multinational Chevron. We also want to continue placing our parliamentarians at the service of women’s mobilisations against the obscurant influence of the Catholic Church and to strengthen the struggle for the right to abortion and against machista violence. What will the focus of your election campaign be, and what do you hope to get out of it? With the PASO over, the FIT has to move forward in a unified manner for these national elections. We are the only left force and the only ones proposing a genuine class alternative to the three main bourgeois candidates: Scioli, Macri and Massa. We have the opportunity to win new seats at the local and national level in various provinces. In terms of our program, as well as what I have already mentioned, which will be the main focuses of our campaign, we want to further develop issues we have already been raising as part of the workers agenda: against casualization, for a minimum salary equivalent to the family basket; for a progressive tax on big companies; eliminate the tax on wages and other taxes like the IVA (tax on consumption) on basic goods. We want to further develop our proposal to nationalise oil, mining and gas; expropriate the 4000 large landowners who own the cultivable lands in our country; put the banks and foreign trade under state control. Our struggle is for a government of the workers, where the wealth of our country is put at the service of the great majority of the working people, not a handful of capitalists. Lastly, given the discussion that has been occurring within the FIT over the issue of unity, that the FIT was unable to come to an agreement on a unified list, and that other left parties were not able to get passed the PASO, will you seek to work with, and possibly even integrate these other forces into your campaign? At the last national meetings of the FIT, we have proposed one big united campaign, and have discounted the idea of the other lists, which did not manage to get 1.5% of the vote, supporting the FIT, as they traditionally have done. In fact, various organisations have already made statements in this direction. The FIT has a program of class independence that makes it different to other electoral fronts or broad parties that have emerged in the past years between reformists and revolutionaries (such as Syriza or Podemos). The FIT is formulating a new program in preparation for the next government which will be published shortly, and on the basis of which we are willing to discuss with all the currents, groups and individuals that defend class independence and struggle for the perspective of a government of the workers.